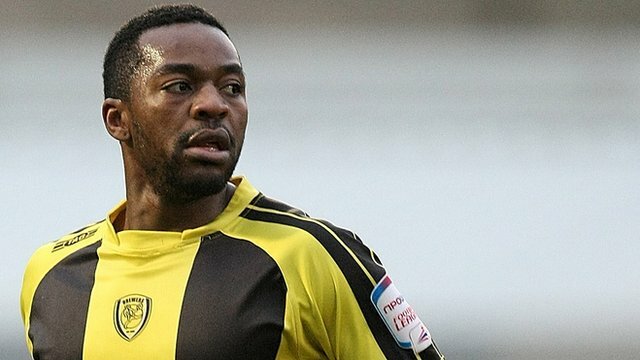 Coventry City likely to miss out on Burton Albion winger Jacques Maghoma. Burton Albion winger Jacques Maghoma. Coventry City manager Steven Pressley admits the club are likely to miss out on transfer target Jacques Maghoma. The Congolese international and his agent has met up with the Sky Blues boss and had very positive talks. Pressley confirmed that Maghoma was high on his wish list, but the lure of offers from The Championship make the deal unlikely to happen. “We’ve not given up but at this moment in time the Jacques Maghoma deal looks unlikely,” said Pressley. “He is a player that we were interested in,” confirmed Pressley who is eager to add pace and goals to his squad. “He’s a freedom of contract player but has potentially got higher offers from clubs in the Championship. If that’s the case it is going to be difficult but not impossible. “At the moment we can’t compete with clubs in higher leagues but we must attract players who, in my opinion, are good enough to play in the Championship because we have to set our standards high and eventually we will recruit the right types of players. The former Tottenham man joined League Two side Burton Albion in July 2009, scored 18 goals as The Brewers almost gained promotion last season, as well as being named in the League Two Team of the Year. His current manager Gary Rowett is resigned to losing him, admitting: “We always felt this would be Jacques’ season and that’s how it turned out. “Everyone is looking for gem. He has proved he has the ability. The way Jacques plays will catch the eye. He has not been proved at the higher level but as a free transfer he will be highly sought after. “I think his future lies elsewhere so good luck to him. City are unable to sign players at the moment because of a transfer embargo but Pressley is working to line up deals for when the restriction is lifted. « Michael Mifsud leaves Valetta.